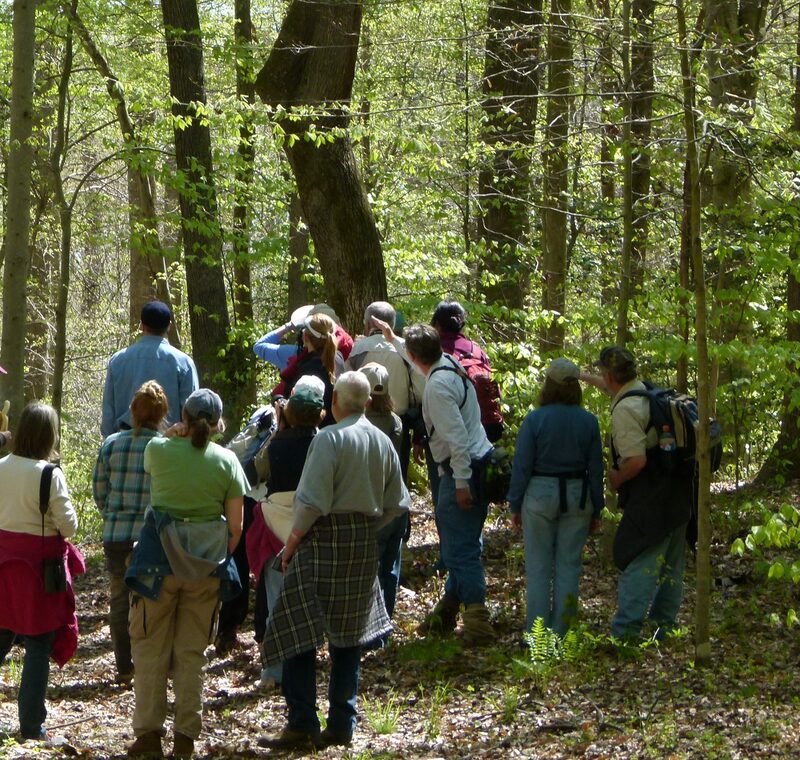 ARMN member Suzanne Dingwell reports on a joint visit to the Crow’s Nest Natural Area Preserve with members of the Central Rappahannock Master Naturalist chapter. Mike Lott (pointing) describes the preserve’s mixed-hardwood forest. Glorious weather presided over the field trip to Crow’s Nest Natural Area Preserve (http://www.dcr.virginia.gov/natural-heritage/natural-area-preserves/crowsnest) on April 16, when ARMN joined the Central Rappahannock Master Naturalist chapter for a guided walk. The Stafford County preserve encompasses almost 3,000 acres of mixed-hardwood forest, and both tidal and nontidal wetlands, all dressed in spring’s finest. We had the pleasure of being led by the Department of Conservation and Recreation’s (DCR) Mike Lott, the regional supervisor for Crow’s Nest. Mike’s extensive knowledge of the history and the ecology of the area were put to good use as a series of mini-talks at strategic locations along the trail; everyone learned something new and interesting! Mike told us that the beautiful preserve was almost paved over at several points recently and it took a lot of perseverance and a little luck to enable DCR to finally save the area from bulldozers. Now the challenge for DCR is balancing the need to protect the preserve, while at the same time allowing public access. Public support is needed to make sure funds can be available to manage lands they already own and to fund future purchases. Master naturalists can play an important part in helping to educate the public in how they can be visitors who “do no harm” and why they should want to be. 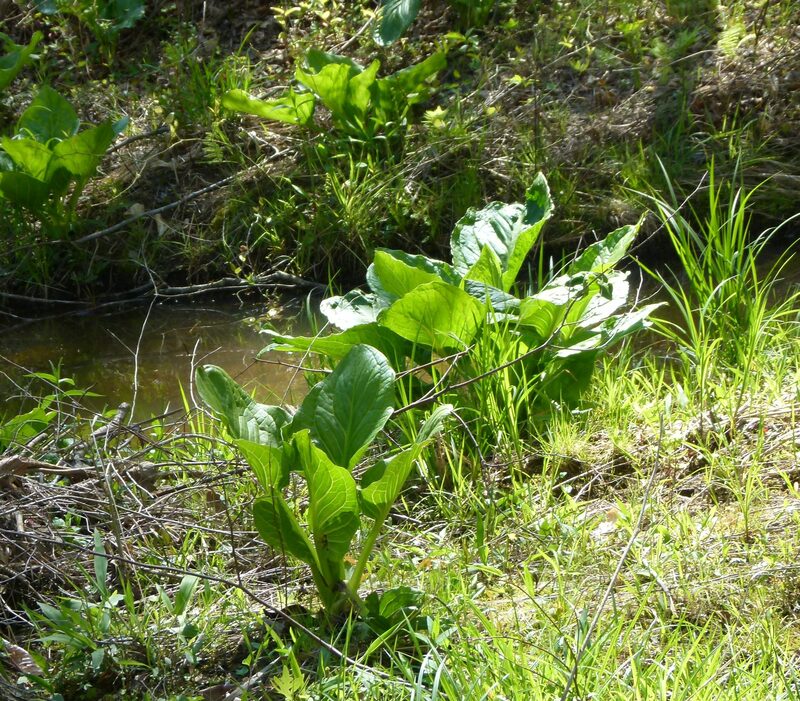 Skunk Cabbage (Symplocarpus foetidus) emerges along a stream. Running through the preserve is a central ridge climbing to 160 feet and flanked by steep ravines falling to water’s edge, making for dramatic topography. We wandered up, down, and through, enjoying the emerging canopy with delicate greens backed by a brilliant blue sky. We listened to warblers––and spotted a few as well. 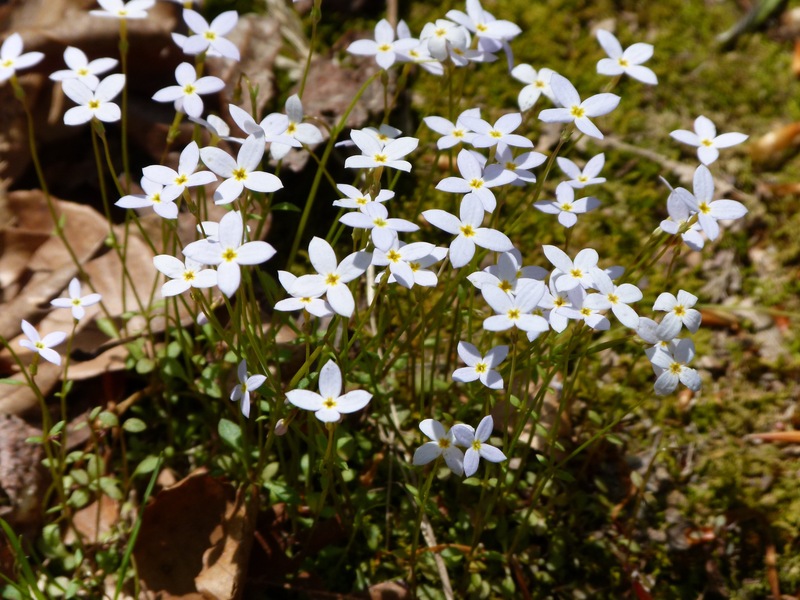 Many of Virginia’s spring ephemeral plants were in abundance and the two chapters’ members engaged in serious cross-pollination of ID skills. The afternoon was capped off with a joint luncheon, perfect for a relaxed exchange of ideas and experiences. (One of the Rappahannock members opened her house and lawn to us and that group surprised us with lunch!) All in all, it was a most satisfactory day. The trails at Crow’s Nest will be ready for public use in September, so add it to the list of places you want to see.